Shock collars are usually used to train dogs to stop barking or other unwanted behavior. Using a remote control, the trainer can send up to 6,000 painful volts of electricity to the dog's neck, with a shock that can last more than 10 seconds. Even when the dog isn't being zapped, the metal contacts in the collar can cause painful skin inflammation. Not only are these collars cruel, but they've proven to be ineffective as training devices. Instead of punishing dogs for bad behavior, many trainers and animal welfare organizations – including the Humane Society of the United States, the American Veterinary Society of Animal Behavior and the American Animal Hospital Association -- agree that what really works is rewarding dogs for good behavior. Scotland has just banned shock collars, and they were already banned in Wales. 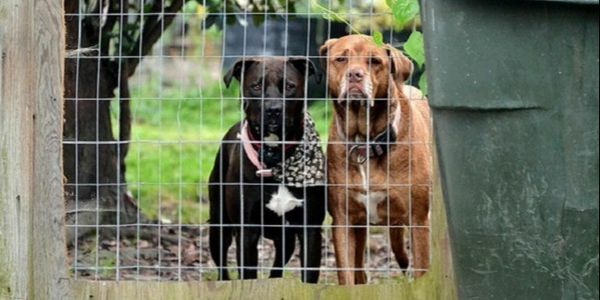 Animal welfare groups are campaigning for the collars to be banned throughout the UK. Meanwhile, shock collars are legal in every U.S. state even though there are much more humane and effective ways to train dogs. Please sign this petition urging Congress to ban these cruel devices nationwide.